It’s beginning to feel a lot like Christmas. And that’s largely because there’s an uncomfortable pressure mounting to buy presents and to have an answer when your friends, family and beloved ask, “what do you want this year?” The answer might just be one of our gift packs, available for a limited time in the Time+Tide shop. 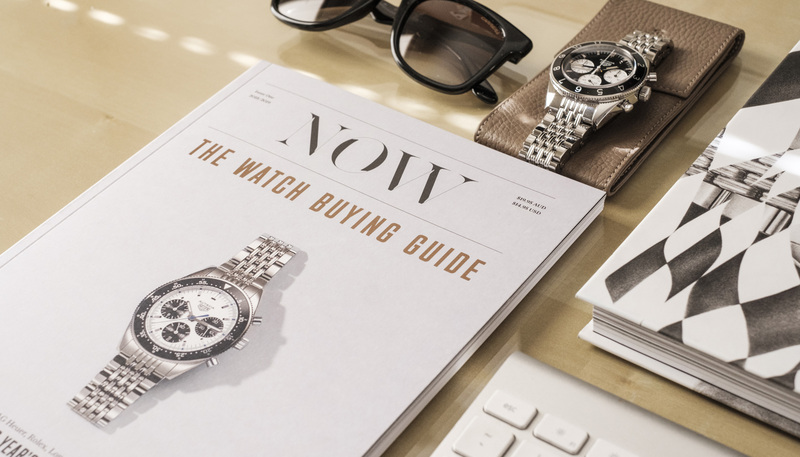 We are here to help, and for the first time, we’re making it easier than ever to buy for the watch people in your life with a range of carefully selected assortments of our superior quality watch products. 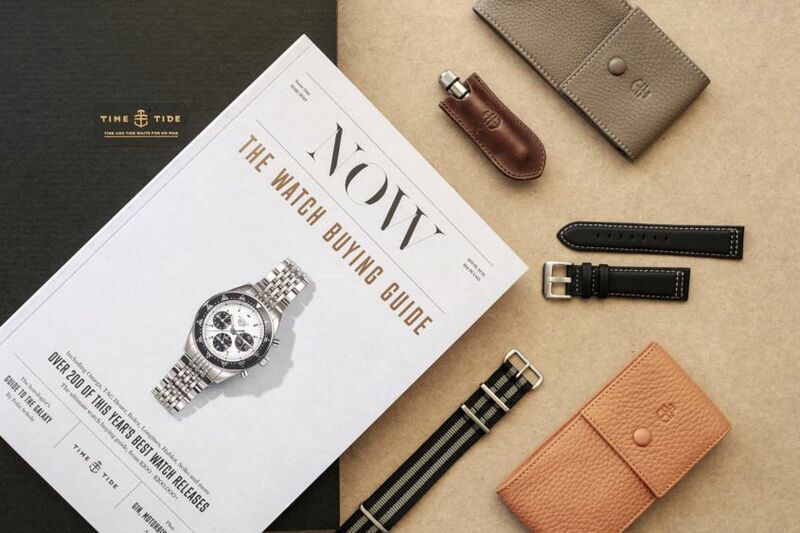 If anyone you know is into watches, they’re going to be into these packs – we can personally vouch for them. There is a travel theme here, as the focus in our first range of accessories has been on watch carry – we are constantly on the move (Australia being considerably removed from the world watch action) and found this an area where a lot of value can be added to even the most kitted out connoisseur with our pouches, tools and deluxe watch boxes, all designed for the road. 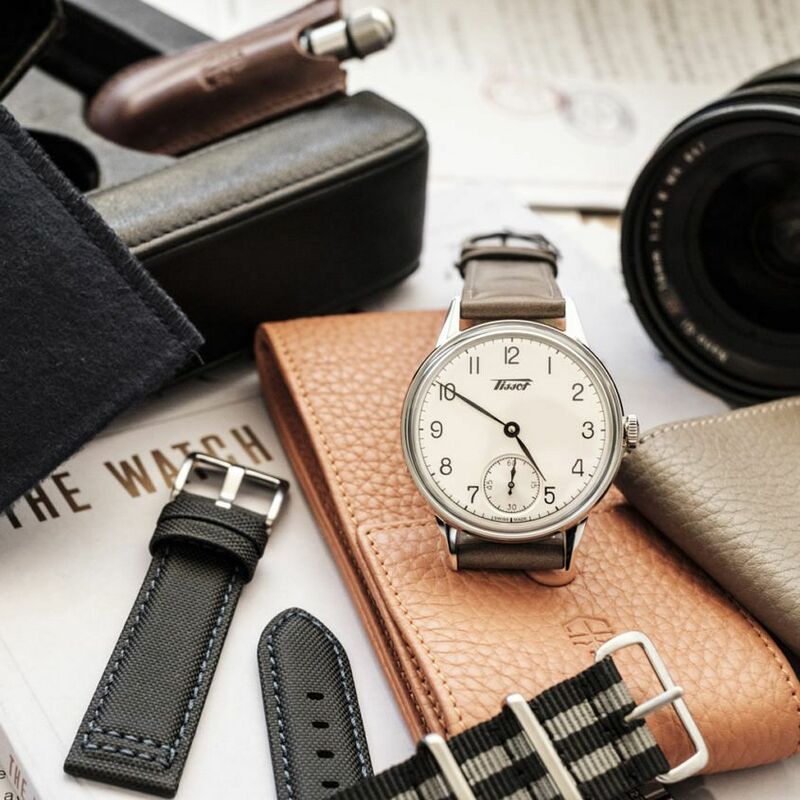 In addition, we are firm believers that a new strap is the watch world’s answer to fashion’s layering, a way to make new things out of what you already have – a strap change can be like a holiday for your wrist. 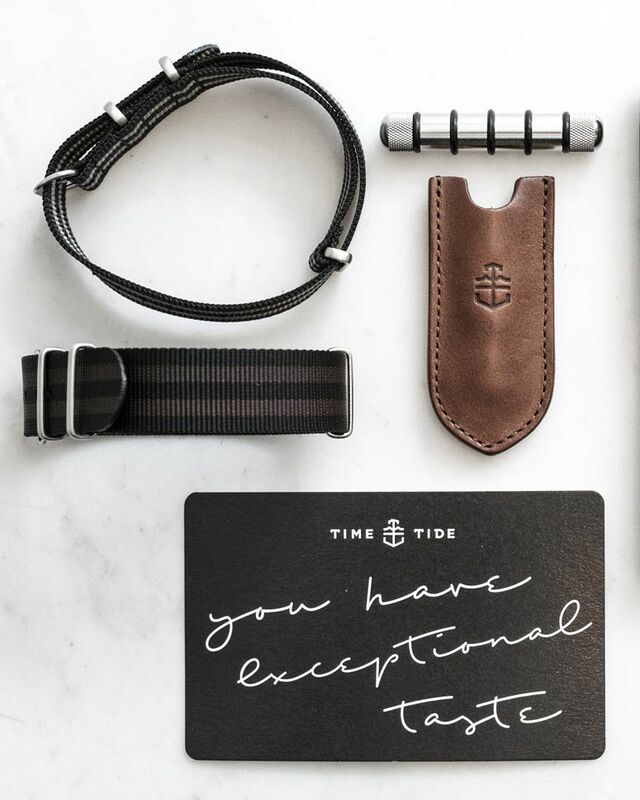 We are also converts to putting as many of your watches as possible on NATOs and sail cloth straps for summer – so we’re including bonus straps all over the place if you scroll through our options. As a final note, the assortments are all specially priced for the season and offer free shipping to Australia. If you’re overseas, rest assured there is never-before-offered value in these packs. Please note, all packs come in 20 and 22mm variations to ensure the right fit for your watches. Apply TTSUMMER at checkout on other purchases for an extra little surprise. Consider it our gift to you. Have a great holiday season wherever in the world you are. Thank you, as always, for being Time+Tide. Off to warmer climes? This pack is beach and summer-ready with two perfect holiday strap options, with just a touch of exoticism care of that classic Bond NATO that will leave your friends shaken and stirred with wrist envy. The Nimbus NATO is a slightly fresher touch, and will pair nicely with lighter summer colours. A WORD ABOUT OUR NATO STRAPS: There is nothing like a trusty NATO strap to change the look and feel of your favourite watch or match it to the day’s outfit. With high grade nylon and stitched joints throughout, along with matte finish hardware in slate grey, these NATO straps come at a length of 280mm to allow more room to ‘tuck the strap back under’ and achieve that traditional NATO look. 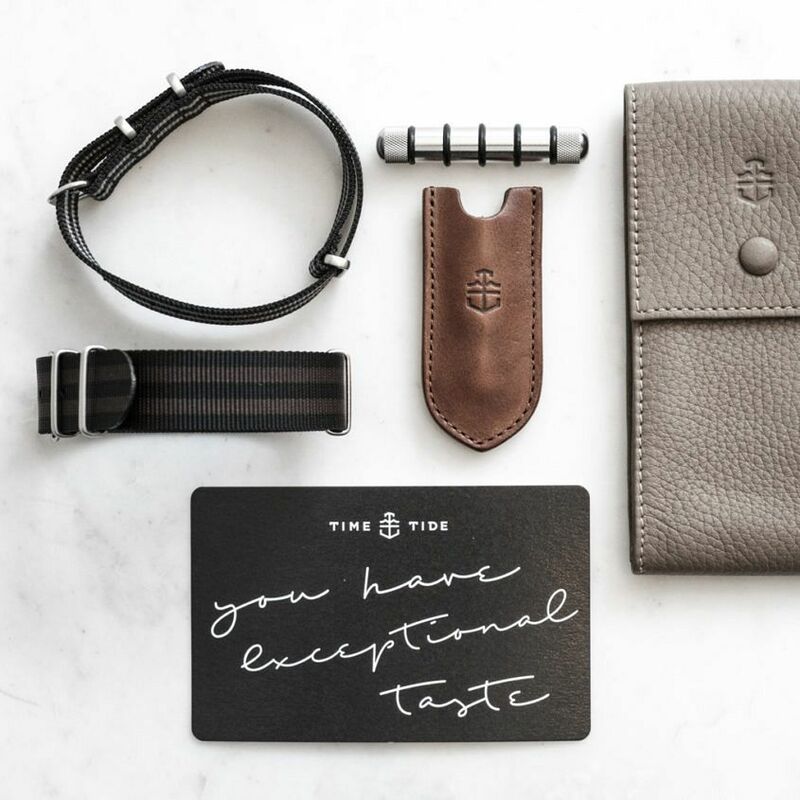 Your watch is travelling business class on its next trip with this option-packed assortment – a superior quality travel pouch in neutral, ever-fashionable taupe, a tool and a variety of straps that will allow you to give the impression of having multiple watches when only travelling with a couple. A WORD ABOUT OUR POUCHES: We use Tuscan Vachetta Leather for all our leather straps, pouches and boxes. Our embossing and debossing will please the most symmetrical of hawkeyes. Our luxury products are vegetable dyed using a manual, time intensive process hundreds of years old. And, in case you’re wondering, the backs of our pouch studs are safely hidden behind a quality leather lining. Not a chance of a scratch, ever. build and repair their sails, Sailcloth watch straps have been a practical necessity for seafarers of all kinds down the centuries. Today, materials technology has advanced to the point that we can offer a product that replicates the style and functionality of a traditional, canvas-made sailcloth but with the superior wear and weight offered by synthetic textiles. A brief glance at this range and you can seen the quality of materials and workmanship. From the tightly interlocked Nylon weave, to the neat border stitching, these straps shout practicality over formality. 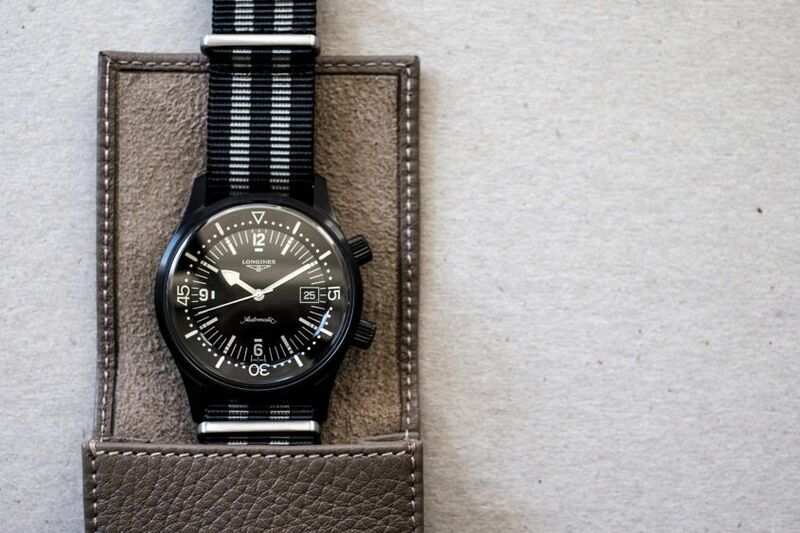 And it’s these practical concerns that make sailcoth watch straps a favourite of ours. The material wicks away sweat more effectively than leather, meaning they’re cooler to wear. These straps will accompany a classic timepiece from boat to beach to bar. Welcome to the front of the plane, where there’s room for two in the ultimate plush surroundings. 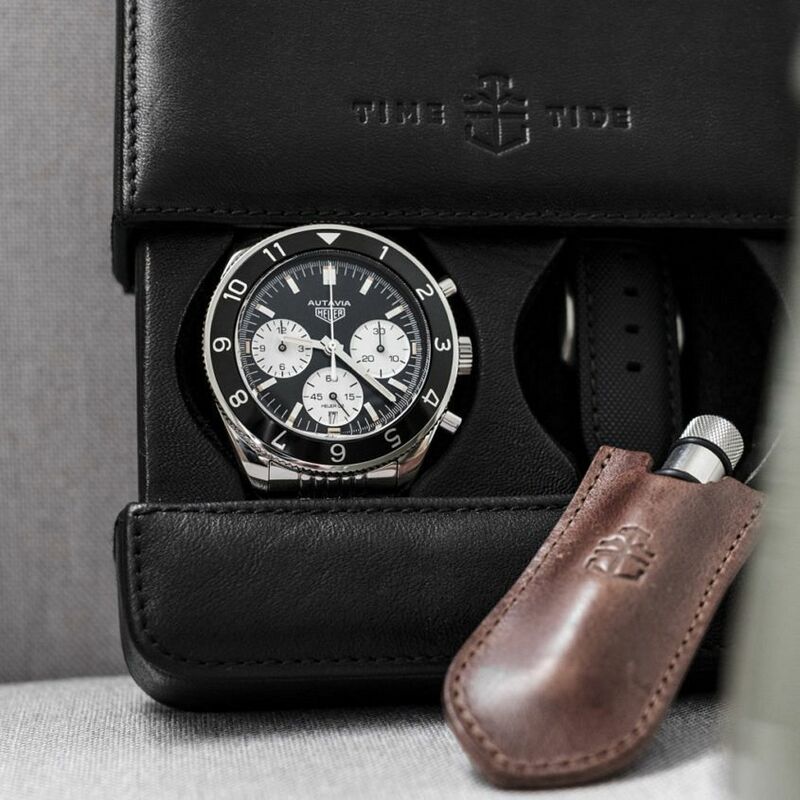 As a thoroughly portable two-watch compartment, it provides the flexibility to travel with you when you need it, or to be just a permanent fixture on your nightstand or desk top. It accommodates up to two sub 44mm timepieces. Dimensions: 16,5 x 12,5 x 4 cm. Please note there are extremely limited numbers of the First Class bundle available as stocks of the Black Leather 2 Watch Slider Box are low. A WORD ABOUT OUR WATCH SLIDER BOX: This velvet lined, French calf leather slider box handmade in Tuscany is the equivalent of your watch flying first class whenever it lands off your wrist. The box is subtly padded and the fit between tray and case is exact, ensuring a snug, secure close.